It’s getting busier at Seattle Center, we’re looking forward to all of the holiday festivities that will begin this week at Seattle Center and in downtown Seattle as a part of the ‘Holiday in the City’ Campaign for 2010. You can visit http://www.downtownholidays.com/ for more detailed information about activities and events happening in Seattle during the holiday season. The monorail will be open early at 8am on November 26 (Black Friday) & November 27 to help holiday shoppers get to downtown quickly for great deals! Avoid driving in the hectic holiday madness and take the monorail to avoid busy streets and expensive parking! We’re open every night until 11pm. Macy’s Holiday Parade begins at 8:45am on 4th Avenue in downtown Seattle. Don’t miss out on Westlake Center’s 22nd Annual Tree Lighting Celebration! Preshow begins at 4:45pm and festivities start at 5pm. It will also feature performances by local choirs and musical groups. 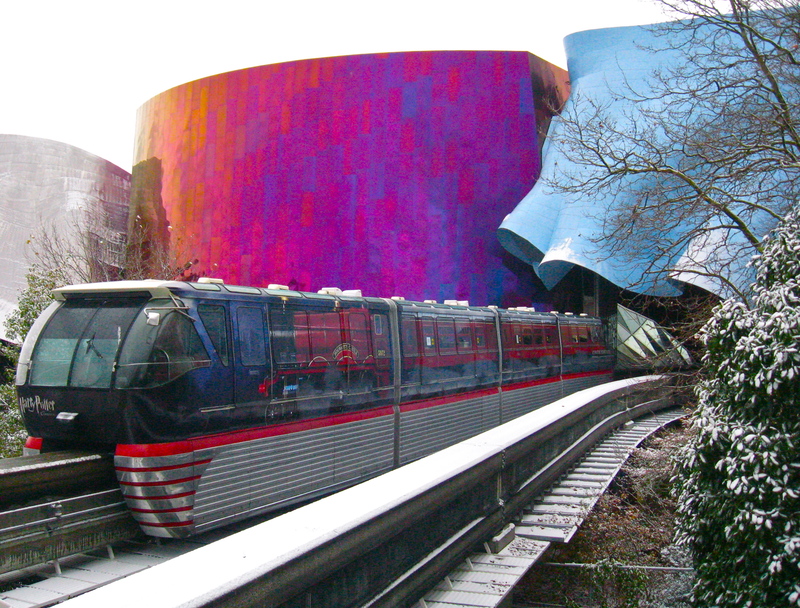 It’s a great holiday tradition – you can catch the monorail to Westlake Center from Seattle Center! We’re open until 11pm. Winter train and village inside Center House – take a turn driving the train between 10:30am-12:30pm, 1:20-3:30pm, and 4:30-6:60pm daily. Suggested donation is $2. It’s a really fun holiday tradition! Winterfest Ice Rink at Fisher Pavilion which is open November 26-January 2. Sunday-Thursday: 11am-8pm. Friday & Saturday: 11am-10pm. Admission fee includes skate rental. Adults pay $7, kids (ages 6-12) pay $5, and children 5 and under pay $2. Cash only. 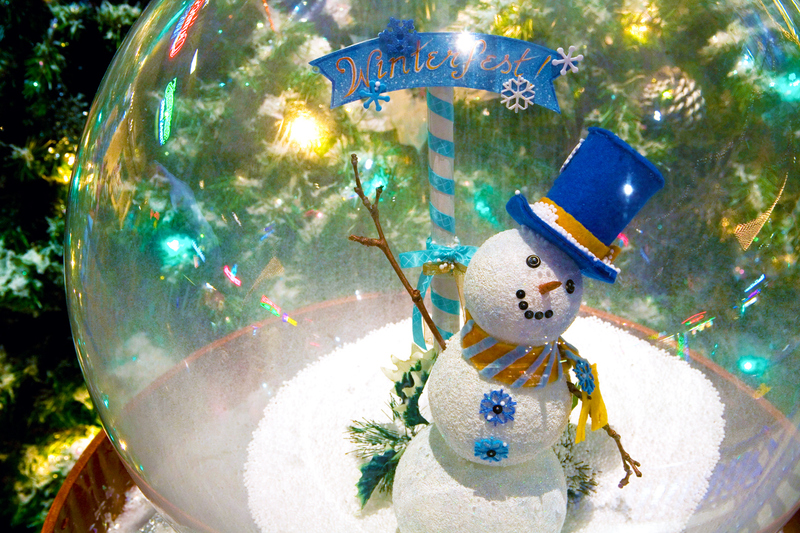 Winter Worldfest takes place in Center House on November 26-28. It is a cultural festival featuring some of the region’s best ethnic entertainment. It includes performances from Ireland, India, Africa, Russia, Japan, and more! Search for fun, cultural holiday gifts while you’re here! Open Friday: 1-6pm, Saturday & Sunday: 12-5pm. Going to Pacific Place (600 Pine Street) for their ‘Winter Wonderland’ celebration that takes place nightly at 6pm between November 26-December 31st! It features snow shows, free musical performances, and ‘Wonderland Nutcracker’ photos with proceeds that go to Seattle Children’s Hospital. It’s only two blocks from the monorail! If you’re looking for coupons and great deals for the top attractions in the Puget Sound, make sure you visit the Seattle Attractions’ website: http://www.seattleattractions.com/index.php/hotdeals. There are tons of coupons that can be used for places like the monorail, EMP|SFM, Space Needle, Victoria Clipper, Museum of Glass, Point Defiance Zoo and Aquarium, Seattle Art Museum, and much more!! 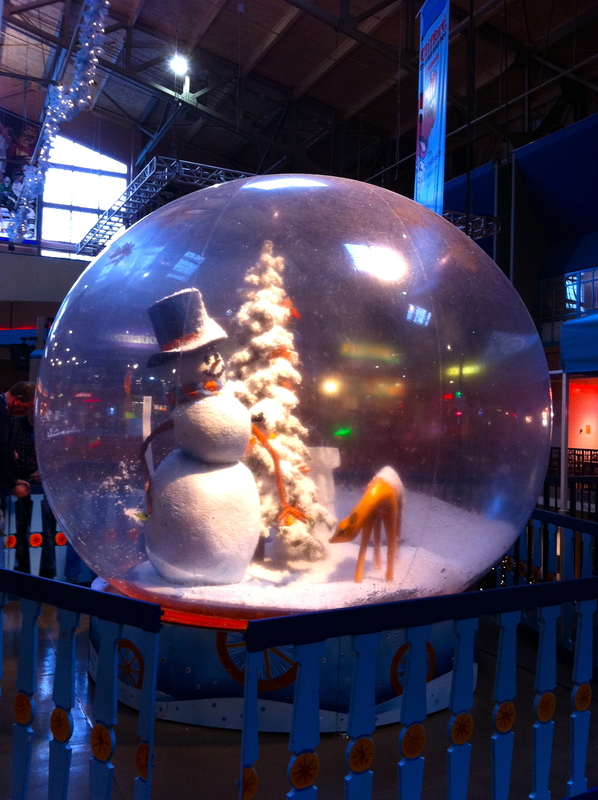 We’ll highlight more holiday events and activities happening at Seattle Center in the weeks to come! Feel free to comment and ask questions if you need assistance! It’s going to be a fun and exciting holiday season!